Welcome to Farm Holiday Visconti Valeggio sul Mincio. Agriturismo Visconti is the result of a big restauration of an old farmhouse. Every suites preserves the names and the features of the past: il Granaio, il Fienile, la Barchessa, la Stalla, il Camino, are personalized in a perfect country style. You can also find typical products of the farm. The interior design is fascinating and in armony with the romanticism of the places. All the suites offer air conditioned, Tv, telephone, kitchen and breakfast. Gian Galeazzo Visconti is situated on morainic hills, round the Garda Lake, between Mantua plane and the lake. The hills show the visitors some wonderful, rich and various natural enviroments, quite fascinating. Our farmhouse offers peace and relax where you can discover the most suggestive and picturesque corners of this wonderful land Gian Galeazzo Visconti lays 25 km far from both Verona and Mantua. The airport is 10 km far. In the neighbourhood you can find acquatic parks and a golf place. 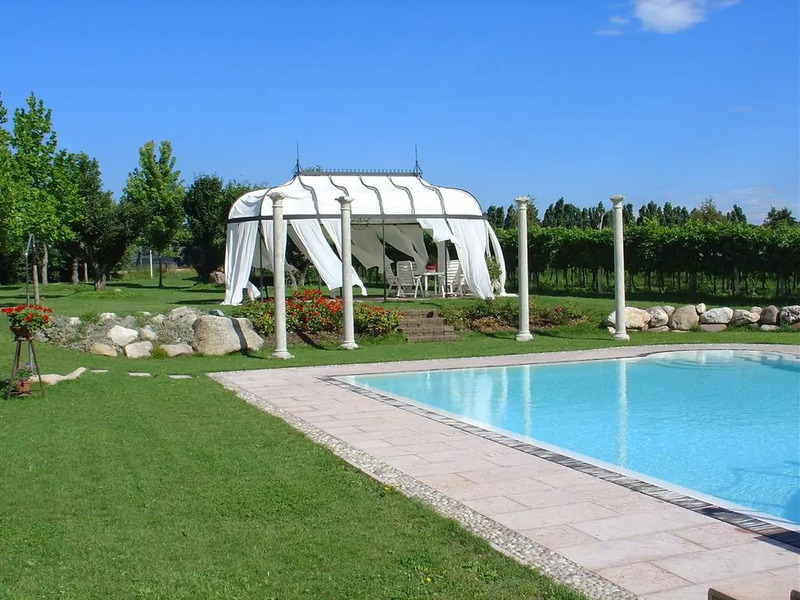 (Agriturismo Visconti Valeggio sul Mincio farm holidays).